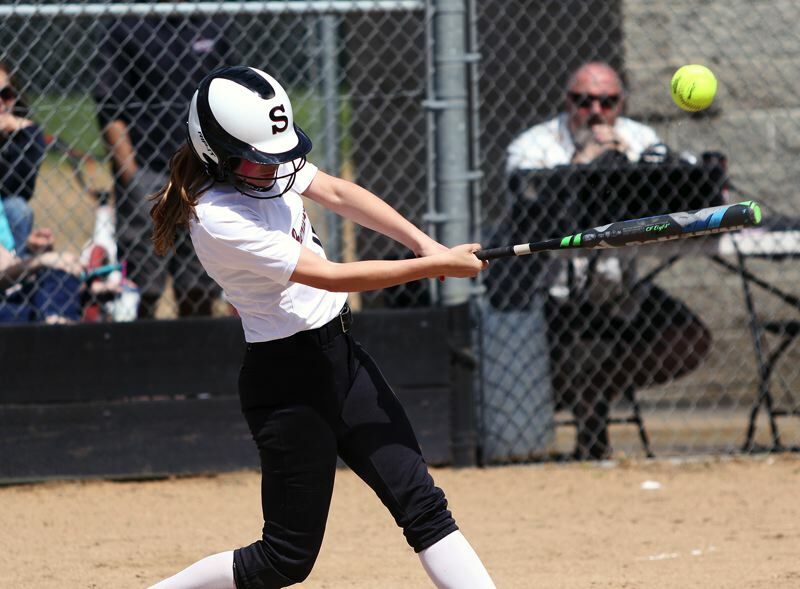 SHERWOOD — It wasn't the best of starts for the Sherwood High School softball team. In fact, the Lady Bowmen found themselves looking at a 6-0 deficit before their first at-bats. But, instead of putting their heads down, the Sherwood players decided to battle. And battle, and battle some more. And the Lady Bowmen almost got a win to show for it. 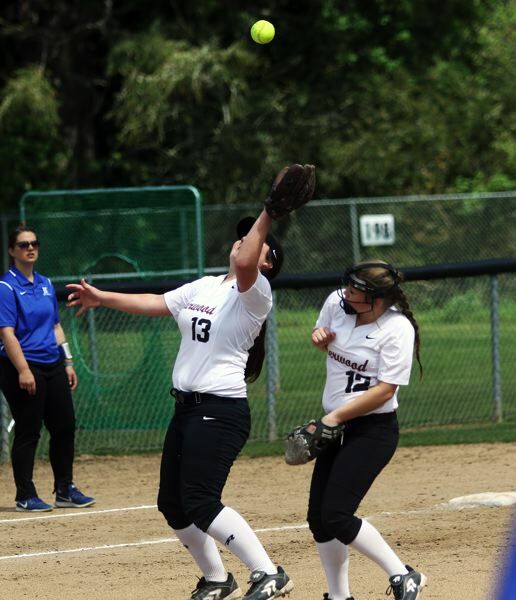 Sherwood, after falling behind 6-0 after a half inning of play, rallied back in a big way before falling 8-7 to Newberg in a Three Rivers League contest played Saturday at Sherwood High School. "We've had a long week, but we're hungry for a win," Sherwood senior Lexi Gribble said after the contest. "We tried to keep our energy up the whole game." "We had a tough time, but I thought we did a great job coming back," Sherwood senior catcher Emily Watson said. "We had more cheering, and got our bats going." With the win, Newberg improved to 2-3 in TRL play (3-14 overall) at that point with the win, putting the Tigers in sixth place in the league standings. Sherwood moved to 0-5 in TRL games (2-13 overall) at that point with the setback. "It was fun," Gribble said. "I like the close games." 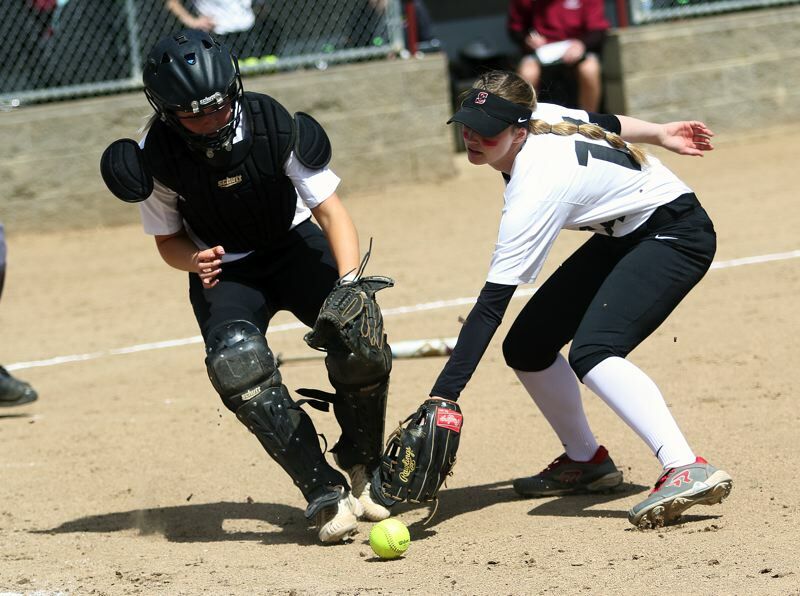 After Newberg scored six runs in the top of the first inning of Saturday's game, the Lady Bowmen were forced to play catch-up the rest of the way. They got one of those runs back in the bottom of the second inning. Sophomore Olivia Dirks did the honors for Sherwood, blasting a two-out, solo home run to right field, making the score 6-1. "When one person gets a hit, it gets us going," Watson said. And that showed in the bottom of the fourth inning, when Sherwood scored five runs. Sophomore Jordyn Moullet-Dozier ignited the big inning with a leadoff bunt single. Sophomore Emily Knott followed with a line-drive single to center field. Sophomore Morgan Hodge kept things going with a single to center field, driving in Moullet-Dozier to make the score 6-2. Two outs later, Watson singled to right-center field, plating both Knott and Hodge. The, after junior Sarah Lesch walked, Gribble belted a two-run double off the fence in left field, tying the score at 6-6. Newberg regained the lead, at 7-6, on an RBI single by sophomore Allison Macartney in the top of the fifth inning. Sherwood got a leadoff double by sophomore Ema Kessler in the bottom of the frame, but the Lady Bowmen weren't able to capitalize. Newberg, getting an RBI triple by senior McKenzie Plummer in the top of the sixth inning, upped its lead to 8-6. Sherwood cut the lead back to one, at 8-7, when Gribble scored from third when Knott drew a bases-loaded walk in the bottom of the sixth. Sherwood, still trailing 8-7 in the bottom of the seventh, got the tying run on base when Watson was hit by a pitch with two outs in the frame. But freshman Breanna Hilton, pitching in relief for the Tigers, got a game-ending strikeout to secure the visitors' 8-7 victory. "We were just determined to try and come back," Gribble said. Sherwood, as a team, had nine hits in the contest. Moullet-Dozier went 2 for 3 at the plate with a run scored. Gribble and Watson each went 1 for 2 with a run scored and two RBIs. Knott, Hodge and Dirks each had a run scored and an RBI. Lesch doubled and scored a run. For Newberg, Macartney had two hits and three RBIs. 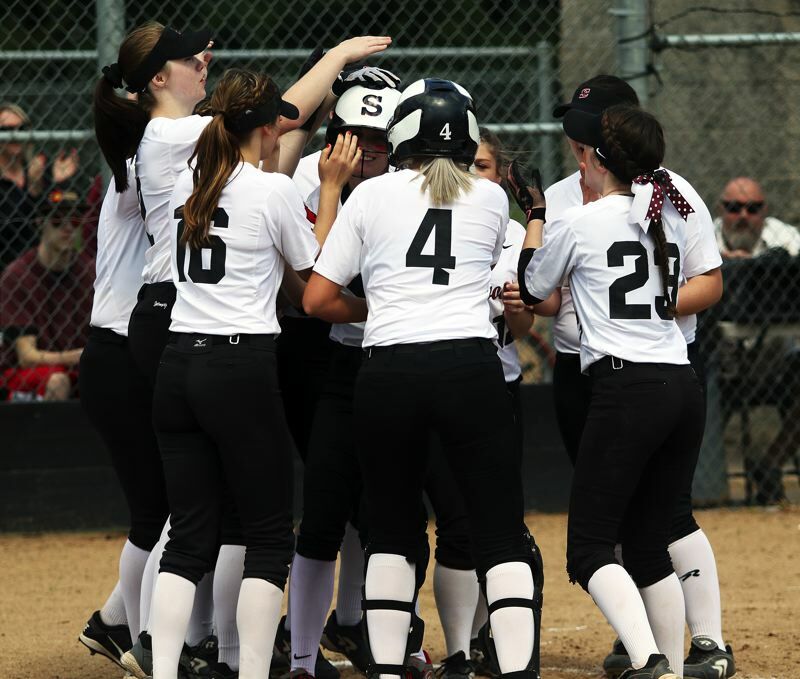 On Monday, Sherwood fell 13-0 home against unbeaten Tualatin. Moullet-Dozier had two hits in that contest. The Lady Bowmen will be back in action on Wednesday, when they play at Tigard in a league game starting at 5 p.m. On Friday, Sherwood will be home to face Lakeridge in a 5 p.m. league tilt.